How do I add a new transaction in my ZipBooks account? 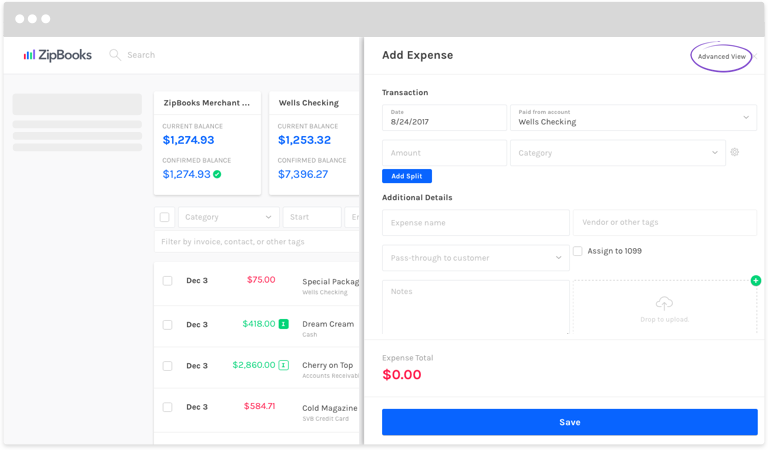 Whether you’re inputting expenses, transferring money between accounts, or recording a sale, adding transactions in ZipBooks is a snap! Click the round green ‘+’ button toward the top right of your screen. Four buttons will appear. Choose the type of transaction you’d like to enter (Transfer, Deposit, Expense, or Custom). A window will open from the right. Fill in the applicable information, including Date, Name, and Amount, and then choose the Category (Asset, Liability, etc. ), and the Account associated with the transaction (Checking, Savings, etc.). If you need to divide the transaction among different accounts (Office Expense, and Supplies Expense, for example), click the Add Split button. Add Notes or Tags and Upload any attachments you’d like associated with this transaction. Your transaction is recorded! 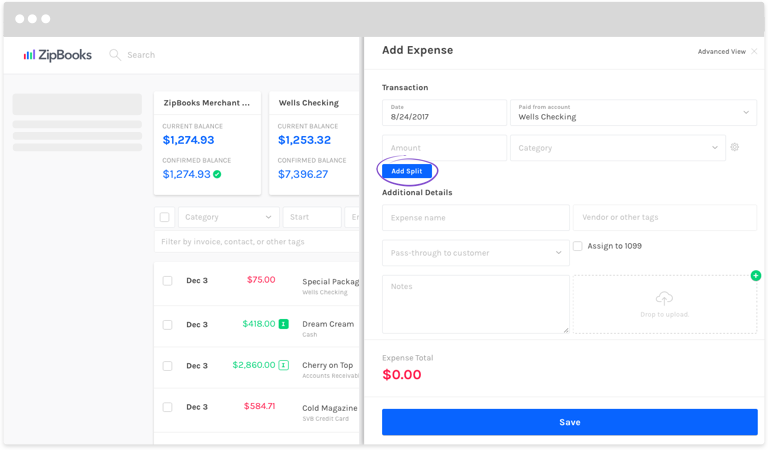 If you’d like to add debits and credits manually, choose the Advanced View option in the top right corner of the screen after you choose the type of transaction you’re entering.